It’s been 369 days since the 34ths were invested, and 69 days since they stepped down. It’s been a mad term for them, with a litany of deadlines for proposals, preparations for events, but at the end of it all (like their 33 batches of predecessors), they have survived. Quite ironically, despite their theme of ‘no unguarded backs’, the last thing they ever did during their term was look back. As they hand over the mantle of leadership to the newly invested 35th Students’ Council, it’s about as good a time as ever to take a step back and review the legacy of the 34th Student Councillors. Through an exclusive interview with the Presidents of the 34th Students’ Council, we bring you through the good, the bad, and the memorable moments of their term. The 34th Presidents pose for a picture with the writers of the Council Interview Series. To create opportunities for people to feel attachment with the campus itself through creating common spaces and capitalizing on current ones. To create channels for support between students by establishing a solid base for peer support. This would encourage students to care more for those who needed help – building a more caring and considerate culture. To create common experiences that students could remember and relate to, part of which encompassed the fourth goal. To create relevant and attractive events that people would remember fondly. To create a sense of inclusivity among students in school to ensure that no one was left out – all in line with their investiture theme of ‘no unguarded backs’. It was therefore these 5 goals that guided every action of the 34th Student Councillors – from the events organized to initiatives planned, right down to the allocation of every budgeted dollar. While it was great that the 34ths were clear about where they were headed, we wanted to uncover the motivations behind their plans. From the interview, we learned that the Student Councillors formed an initial impression of the state of Rafflesian matters through observations made by the Presidents and feedback from other informal and formal channels. It was from this treasure trove of information that the 34ths derived their goals – aimed toward closing up gaps in the school and capitalizing on current strengths. In particular, they noted 3 areas of concern – a result-oriented culture, lacklustre participation and a lack of ownership. “[The school] was a lot more focused on the tangible, the medals, the Golds, which are the sports teams that have won, which are the sports teams that are exciting to watch”, Minglu pointed out, and quite rightly so, that the school had an increasingly unhealthy obsession with results. Many Sports CCAs that didn’t do particularly well during the Sports Seasons were given less recognition. Worse was the case for non-competitive CCAs, which were sidelined almost completely. The disproportionate amount of appreciation and support for different CCAs was worrying to them because it bred a culture that placed less emphasis on effort than on results. While people may think that effort solely determines success, the 34ths recognised that results might not necessarily be a function of just effort, but can instead be influenced by many other factors such as extenuating circumstances. The second area of consideration concerned the participation in events by students. Isaac felt that “there were events that were done by the 33rds that not a lot of students took part in…and therefore the events did not have as large an impact as they hoped it would have.” To organize such events was “a waste – no point in doing an event if no one takes part in it.” The 34ths attributed the occasional lacklustre attendance to the insufficient tailoring of certain events to the students, which reduced their effectiveness and footprint. Events therefore had to be reconsidered – either removed or reevaluated and improved. “It seems that one of the key problems we saw was that people didn’t feel that sense of ownership in school.” Isaac told us that the 34ths were concerned with the distinct lack of ownership Rafflesians had over their school. While it couldn’t be quantified given the intangible nature of school spirit, there were certain indicators that led them to this conclusion, which were closely related to the first 2 problems they identified. For instance, the lack of participation in events could have been attributed to the missing ownership over their school and a diminished sense of belonging. That said, however, Mae Yee felt that “the thing about Spirit is that it is a continual kind of thing”, which meant that it would always be a work-in-progress. While Isaac could provide a laundry list of events organized, initiatives pushed through and changes made to existing activities and systems, the legacy the 34ths left behind would go far beyond the tangible. But just for the record, here’s a list of just some of the many changes implemented during their term. Despite this impressive list of revisions and improvements on the status quo, the 34ths saw these tangible achievements not as stand-alone achievements but rather as achievements contributing towards their central goals. In other words, what their achievements stood for – the spirit of it all – was what mattered in the eyes of all 3 presidents. Mae Yee told us that through certain welfare initiatives like ‘The Humble Basket’, they managed to ‘[create] a very caring and supportive school environment’. Minglu took it one step further in saying that they ‘[involved] the school more in [match supports] and tried to get everyone to know what was happening.’ Indeed, it seemed that the 34ths were able to deal with one of their initial concerns of School Spirit in bringing it ‘further in the continuum’, as Isaac puts it. As established earlier along with the initial concerns, the 34ths felt that upon solidifying the Spirit of the school, most other issues could be mitigated or resolved. Perhaps this could offer an explanation for why the 34ths focused most of their effort in building a semblance of belonging and ownership in their batch-mates. As Isaac said,“I think the initiatives that we have done encourage the people to feel that it was worth it and they have to contribute to it.” Of course, these are solutions which are very much in progress – though of course, solutions which have already brought about some positive effects undeniably. Of regrets, the 3 Presidents had little to offer us except that ‘it’s quite sad to live with regrets’, as Isaac mentioned. That said, however, there were a few areas which the 34ths felt might have merited conscientious effort – but as with most regrets, we know they often cannot be helped given circumstantial reasons, and assuming that the best choice was made then. Given more time and opportunity, Isaac would have liked to get to know each Councillor on a personal level. ‘It’s a big Council’, he quips, and given the size of the 34ths Students’ Council, and the scope of affairs he had to manage, it’s understandable why this had to be lower down the agenda. Minglu was more concerned that not much was done to help struggling Councillors, or at least not enough. She told us that quite a number of Councillors had to be ‘off-loaded’ certain duties and could not take part in events like Orientation as OGLs. To this end, her chief regret was done more could have been done to support these Councillors – far earlier than before their inability to cope became an actual problem. Looking forward, the Presidents admitted that there still exists work to be done, and that many new problems could arise in the near future. They gave us 3 probable areas of concern to watch – elitism, discipline and the relevance of the Students’ Council. Very briefly, Isaac pointed out that with the increasing perception of RI as an elitist institution in the public’s eyes, ‘we need to be actively out there to deal with the perception’ instead of letting it fester. Some part of this could come from doing more community projects, but that can only do so much. 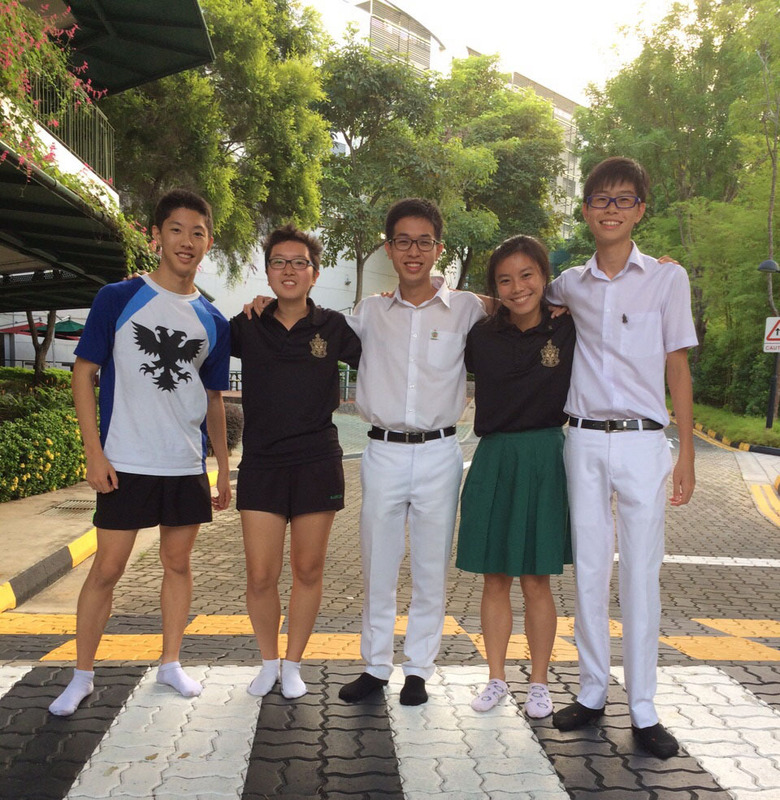 Instead, Council could perhaps encourage Rafflesians to look at ways of reaching out to the community around them (like the Bishan community), which can help make The Rafflesian student a more personable and identifiable one. Council should also consider its purpose in RI, and constantly evaluate if its role should remain the same. By doing this, it reduces the risk of becoming irrelevant, or performing a repeat role some other body in school is already doing. For instance, if getting feedback on its initiatives and the school management should be a function of Council, or the duty of a CCA like Raffles Press which actively pursues student discourse. In addition, the role Council plays in school discipline, if at all important to them, should be reevaluated, and perhaps newer ways of tackling the age-old problem of discipline can be found. That said, the work of Council has been, is, and will always be a continual one. The 34ths have done their part – now let’s see how the 35ths will measure up and continue this legacy. The 34th Presidents are, like any other human, not without their quirks and fond interests. Here we attempt to probe into their personal interests! Click here to view the full transcript of the interview!